Samson’s Q7 Professional Dynamic Microphone provides exceptional sound reproduction in a variety of live and studio applications, including miking vocals, guitar cabinets, drums and more. Designed for accuracy, as well as durability, the Q7 is a high-level performer no matter the environment. The heart of the Q7’s performance stems from the wide dynamic range produced by its neodymium dynamic mic element. The mic also features a supercardioid pickup pattern with excellent off-axis rejection. This enables the Q7 to pick up all the nuances of any performance with maximum volume and clarity, while reducing feedback and unwanted signals not originating in front of the mic. The Q7 also offers a smooth frequency response and low frequency roll-off for providing balanced audio reproduction no matter how close a sound source gets to the capsule. A versatile tool in the recording studio, the Q7 is a workhorse microphone perfect for a number of applications. As the Q7 is equipped to handle high SPLs, it allows live vocals to sound huge and crystal clear, but it is also great for closing miking instruments such as snare drums, guitar amps and more. 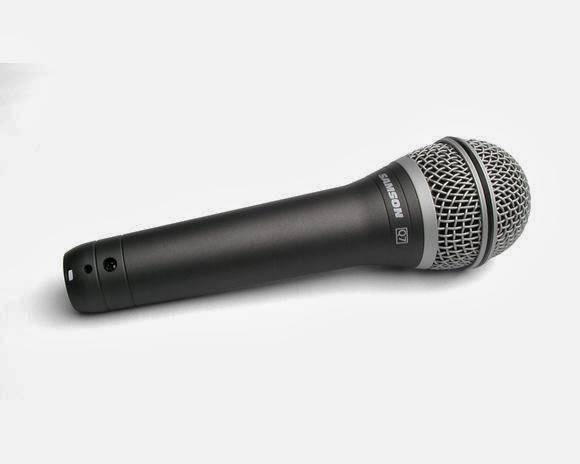 With a rugged die-cast body and hardened steel grill, along with a multi-axis, shock-mounted capsule for minimizing handling noise, Samson’s Q7 Professional Dynamic Microphone provides reliable performance in even the most demanding environments.